Beautiful girl holding little Christmas tree in her hands. Happy winter holidays and vacation concept. hd00:07Portrait of beautiful woman smelling watercress symbol of easter and spring that`s coming back to life after winter. 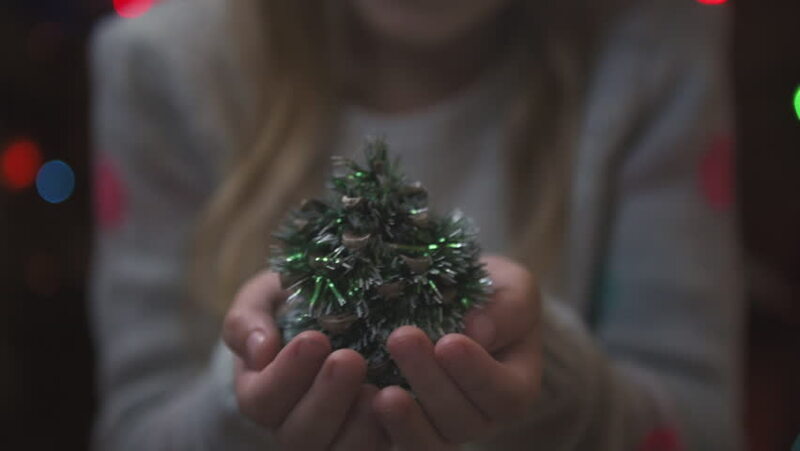 4k00:13Girl hands decorate christmas tree close up. hd00:17Shiny golden strings all over Christmas tree. Boy and girl putting golden strings on pine tree.